October 2016 – Where Are They Now? Rachel Helferty, Successful Graduate Of 2009! After Rachel graduated from St. Josephs, she went to Queen’s University to study Life Sciences. She graduated with BSc (honors) with Distinction in 2013. While being enrolled in Queens, Rachel was was part of the Queen’s Choral Ensemble, Queen’s Students for Literacy, and president of Queen’s Alive, the pro-life club on campus. Also she was a student leader in the Newman Chaplaincy community, leading the faith studies year to year with various students from different programs and helping out with their center. 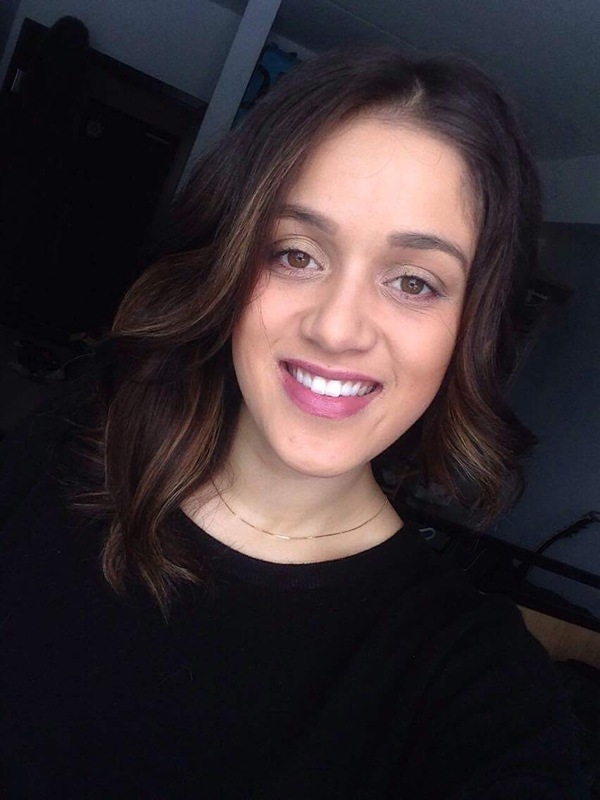 Since Rachel graduated from Queens, Rachel has took her journey to Toronto where she is now studying to get her Doctor of Naturopathy degree. Being in her final clinical year, she gets to see patients under the supervision of a licensed Naturopathic Doctor. Going to school, getting great grades, helping out around the community, and Rachel also finds time to be part of a chamber choir in the city called Voices, which helps bring her joy to be able just to sing. This coming May Rachel will be graduating, and she is hoping that she will be able to return back to the valley to practice Naturopathic Medicine. Rachel says ” Toronto is a nice place to spend some time, but there’s no place like home!” St. Josephs is a wonderful school to help enhance both your musical side and your academic side, so with all the musicals and productions that this school has to offer, and our excellent academic perspective, Rachel was always able to find something that caught her eye to get more involved with the school. Sara Elle, Graduate of 2002! Once Sara had graduated from St. Josephs her career has led her in a straight path to success! First, right after graduating she enrolled in Police Foundation with Algonquin College. Even with her going to school she also worked as a security guard with Security’s for five years.While being in the Police Foundation, a Psychology class caught her eye, and when she took it she enjoyed it so much that when walking out of the class she left with a 100%. Naturally, after Sara graduated she applied to the Psychology program at Carleton University. About half way through university she was hired by Entrust; one of the companies Sara was a security guard for, as an administrative assistant and from there her administrative career took flight. She was on the land of the government and stayed there until the tough time of austerity and layoffs. When Sara’s contact unfortunately ended Sara took an aptitude test brought Carleton’s Alumni site which revealed she would be best suited in the financial industry as a financial planner. Now proudly to say, Sara works at Scotiabank, which ever since a young child was always her life-long dream! Sara says what has led her to her success is the following “well, I’d have to say there are several things involved here. I grew up in poverty with a single mom, and I knew I didn’t want a life like that. Secondly, I always used the resources that were available through my schools such as the career center.” Sara keeps a “vision board” where she keeps all of her set goals and looks over them often. It is a map on where she wants to go in life, and how she can get there. This is a easy way to keep her motivated, and gives her direction. Danielle Miller was always very interested in chemistry and physics. She enjoyed attending Mr. Retty’s chemistry and physics class. High school was a wonderful experience for her. She really enjoyed her teachers and classes. Danielle was involved in lots of activities such as basketball, soccer, hockey, etc. She was also involved in the prom committee and yearbook committee. 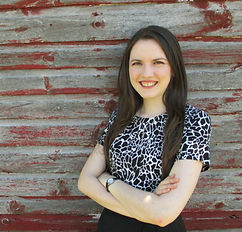 Danielle applied to six universities for her undergraduate degree, Queen’s University, McMaster University, Laurier University, Guelph University, and Waterloo for science. “I got accepted to all of them”, she said. Danielle went to Queen’s University for taking a major in biochemistry and a minor in physics. Her degree was four years long in which she’s done now. After she finished at Queen’s University, she applied to ten medical schools, four to six teacher colleges, and two pharmacy schools. She got accepted to all the teacher colleges and one of the pharmacy schools, but no medical schools. She knew she would enjoy teaching and being a pharmacist. She was even enrolled at Nipissing University for teaching. She was then accepted to a pharmacy and got the job at the Walmart pharmacy in Renfrew. “I am really enjoying it. It brings together my love for helping people, the medical field, and teaching in which I get to teach patients every day about their health and medications”, Danielle has said proudly. On the sidelines she also has a few hobbies like playing ringette and ball, reading, decorating cakes, and playing card and board games. ” I do believe SJHS helped me become who I am and get to where I am. I had great teachers and mentors who helped me become an excellent student, which helped me greatly in university”. Danielle developed leadership skills through working on the prom and yearbook committees. She gained teamwork skills through the sports teams she played on and by working part-time at Domino’s. she developed time management skills through school and community sports and studying hard to get good grades. Overall, we are very excited for Danielle as of she was a successful student at SJHS and is now a Walmart pharmacist in Renfrew. After St. Josephs Danielle went to Algonquin college and graduated from the Office Admin Executive program. Mrs. McGregor went from reception to hearing aid tech, and is now currently working at the Robillard Hearing Centers and she is now in MacEwan University in the Hearing Aid Practitioner program. The particular program that she is taking is a two year long course and once she is done she will be able to test peoples hearing and help them select the proper hearing aids or help them with their hearing needs. Danielle was the first class to graduate from start to finish at the new school. Danielle McGregor was formally Danielle Longtin but later on she married Shane McGregor and had two amazing children! Danielle’s overall prospective on St. Josephs was a very positive one with Mrs. McGregor saying “St Joes ROCKS and I love every minute there!” The teachers here were really supportive and like a second family. Caroline Pilon,Following The Path Of God! Caroline Pilon graduated 2009, and soon after became a youth missionary with Regnum Christi in Rye, New York. Being a youth missionary she volunteered with youth groups, high school retreats, missions, and a year to give back to the church. Within that year Caroline’s knowledge in her faith grew and her love for Jesus, but still had a lot of questions. Quinn Solar, Graduate Of 2016! After leaving St. Josephs High School Quinn Solar decided to pursue his dream of becoming a professional musician. Quinn is a finger-style guitarist, which means that he takes any popular song and arranges it so it can be played on one solo acoustic guitar. To expand his knowledge on music industry he enrolled in the Music and Digital Media program and St. Lawrence college in Kingston. The program taught him a number of things that musicians should know before entering the field, also the skills that are handy when marketing yourself in video production and photography. Throughout his course he also has the opportunity to take private lessons to enhance your performance on your main instrument. Before going to college he wasn’t a musician who played entirely by ear, but then his knowledge of music theory expanded which helped him in many ways. Quinn has only positive things to say about St. Joes, one of the thing he commented was “St. Joseph’s has done a great job getting me comfortable on stages with their coffeehouses, Christmas concerts, plays and other events. For that I am thankful.” Since graduating this past summer Quinn has continued to share his music and he is making a lot of good friends along the way! Have we ever had a student who released a single on iTunes? Sonya May, a graduate of 2015 who released her single, “Maybe Not” in October this year. Sonya is determined to be a school teacher and singer. After Sonya graduated from SJHS last year she was accepted to Canadore College in North Bay. She is on her second and last year of studying mental health and addictions. Sonya will be applying to a University in order to become a teacher. When Sonya was in elementary school she would watch the talent shows and would picture herself singing in front of others like them on the stage. “When I was in grade 6, I picked up my dads old flattop guitar and started to learn Taylor Swift songs”, Sonya said. After Sonya sung for the first time on the school stage for others she decided to step forward in her singing career. “A big aspect that helped me to grow as a musician was the performing arts opportunities at SJHS“, Sonya said. Throughout Sonya’s years of singing, playing guitar, and playing piano, she has developed her singing voice and made song writing an important part of her life. As we said, she released her single, “Maybe Not” on iTunes in October. She has said, “This is something that I feel very happy about in regards to my progression in my career”. Music is something that she will always be passionate about and Sonya hoped to continue with music in any degree. Sonya is determined to be a teacher after her last year in Canadore College and is determined to continue her singing career as a very important part of her life. A woman who now helps homeless, about to be homeless, and people who are high users of the addiction systems was a graduate from SJHS in 1984, Liana Sullivan. Mrs. Sullivan is a very successful alumni from SJHS. She has been married to Martin Sullivan for 28 years and counting. Mrs. Sullivan has a 15 year old daughter who is currently at SJHS and 27 year old son who graduated from SJHS. “My mom is a very happy, enthusiastic, and cheerful woman to be around”, told by her daughter. We have asked Mrs. Sullivan how she would describe herself and her reply was, “Hmm. I’m funny, compassionate, hard-working, and loving. I enjoy life, travelling, and meeting new people. I love seeing people reach their potential”. In May 2017, Mrs. Sullivan is attending CMTC (Canadian Modelling and Talent Convention) as an uprising actor. This could make her life more exciting than it already is as of how successful she has already got. Mrs. Sullivan stated that her “fave” teachers were Mr. Hickey, Mr. Sklepowitcz, and Mr Keon. Mrs. Sullivan completed addiction specific courses in McMaster University in 1989, located in Hamilton. Mrs. Sullivan received her master of science psychology through California Coast University in 1995. She had gotten her masters degree in 2011. She has all of her certificates displayed in her office as of it makes her see how far she has come to the job she has now. Mrs. Sullivan has levelled up her job to become a council through working 17 years in outpatient counselling for people who have addictions. She was then community based for 18 months and has been with ASH (Addiction Supportive Housing Program) since 2011. Mrs. Sullivan would be described as one of the most successful students ever since she graduated from SJHS. Mrs. Sullivan has a family of her own now. She is very happy as a councillor, wife, and mother. Peter Vice, SUCCESSFUL STUDENT IN CLASS OF 2013!!! 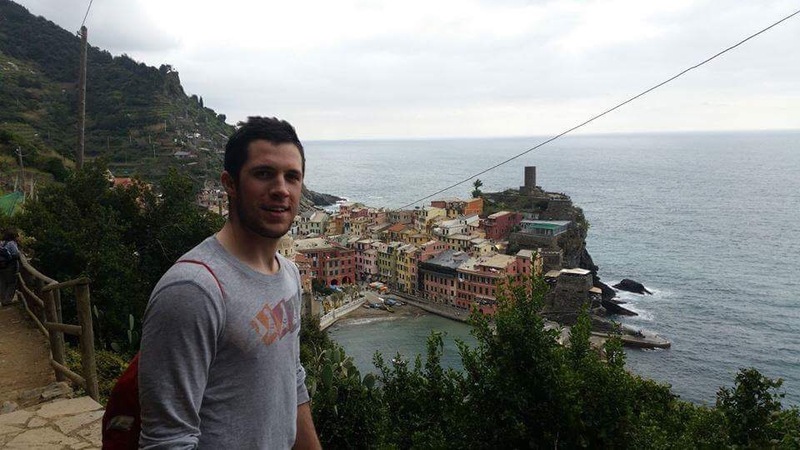 Peter Vice, who graduated in 2013 at SJHS is now currently in his 4th and final year at Trent University studying business administration. Peter Vice was and is a very confident and proud student who graduated from SJHS, and is now studying at Trent University. SJHS had kept Peter very busy, as of there were many fun participation opportunities for him in the school. He was a student athlete who played various sports like volleyball, basketball, soccer, and track and field. He also participated in the student council and musicals. “When you get into post secondary or the work force, work ethic is essentially what is going to make or break you”, said by Peter. “Those who work hard will be rewarded, and I think that by being involved in so many things, all the while having a part time job taught me to conquer any obstacles that have gotten in the way of me achieving my goals”. When Peter was getting involved in the school, he had gotten to know his teachers better. He knew that if he had a question that his teachers would be more than willing to help him out. Peter’s favourite subject in high school was drama. “I love acting and being open to new and creative ideas”, Peter quoted. SJHS has most importantly helped him build his problem solving skills taught by his teachers. Peter stayed a 5th year at SJHS because he was not sure of what he wanted to do. In high school, Peter never took much business courses besides accounting and economics. Peter found an interest in business because he likes creating new ideas and also solving problems so Peter decided to apply to Trent University and Brock University for business administration and Guelph-Humber for tourism management. Peter had gotten accepted to all three, but he chose Trent University and is now on his 4th and final year of business and accounting. Peter has and will be more successful then he already is at Trent University.